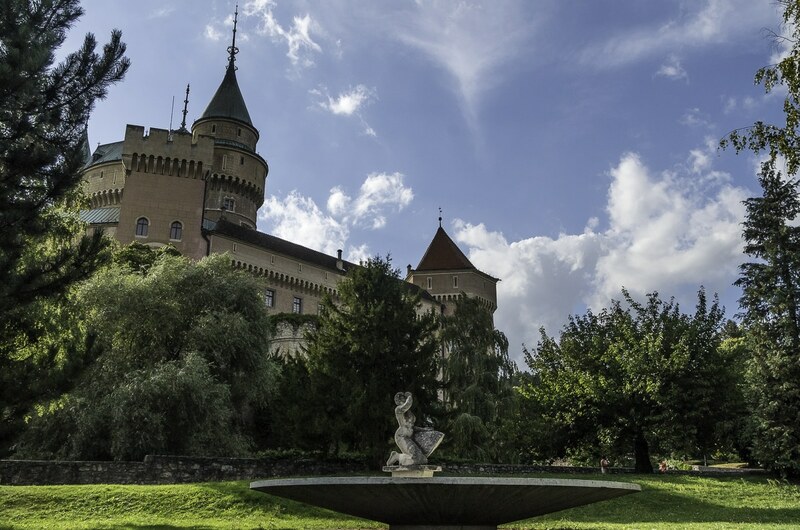 Bojnice castle is made from the stuff that fairy tales are made of. 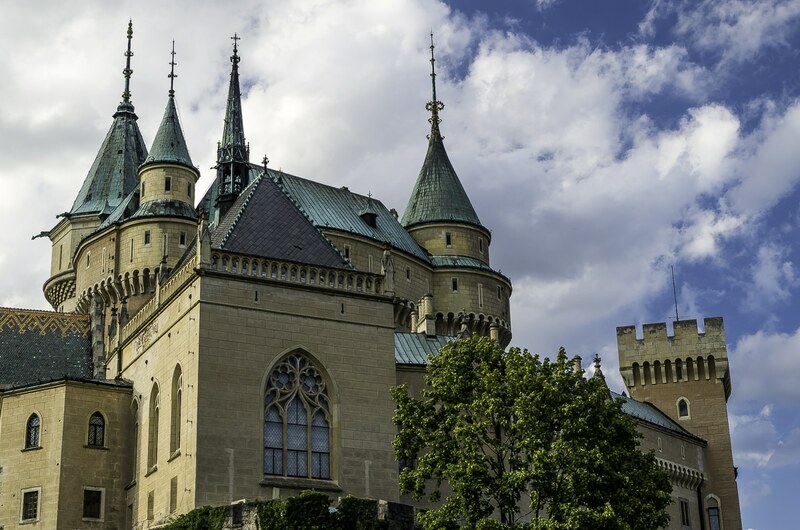 The most visited castle in Slovakia is 3 hours from Bratislava and it looks like it came out of a fantasy land with dragons, princes and evil Queens. The turquoise tower tops have definitely something to do with it. 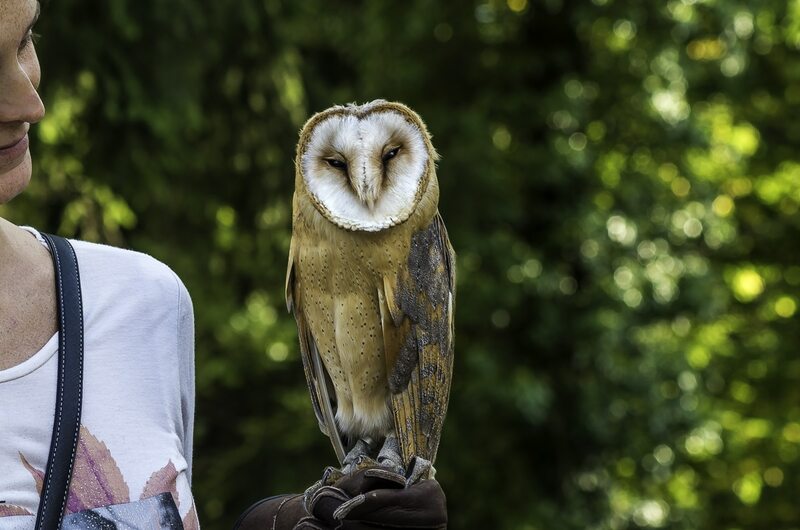 It is located in Bojnice, a small town of 5.000 which is built around the castle and the oldest zoo in Slovakia. Along with the local spas these are the main attractions of Bojnice. 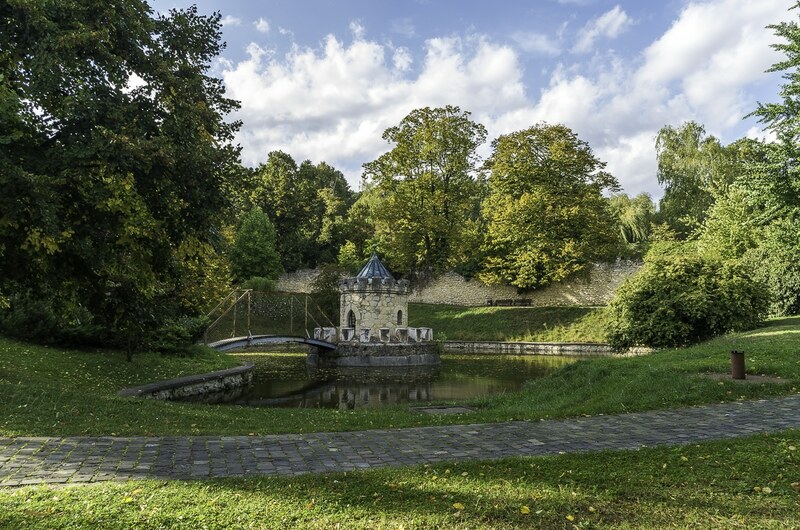 Built as a wooden fort in the 12th century it changed many owners until it ended up in the hands of Count Jan Frantisek Palffy, the last private owner who also happened to be a man of arts and spent much of his time collecting paintings mostly. A big part of which is exhibited inside the castle. 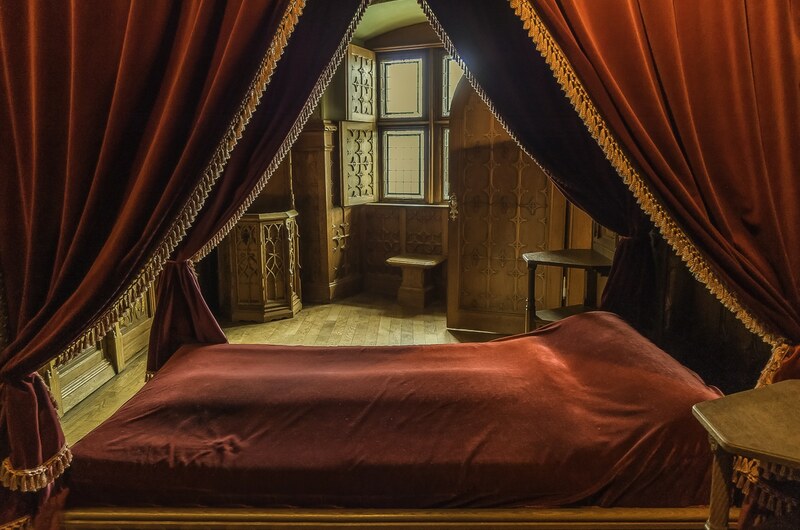 Indeed the Count had exquisite taste, something that is also reflected in the castle’s interior design which himself had a big part to do with. The vast reconstruction took place from 1889 to 1910 but Count Palffy didn’t live to see it finished. He died two years before it’s completion, in Vienna. As you walk on Bojnice square the trees obstruct the view of the structure. 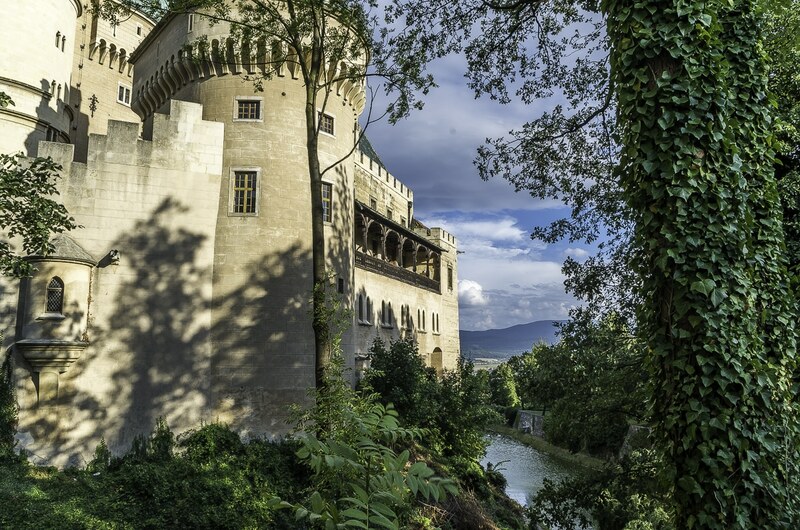 It’s only when you are relative close to the castle that you actually get the first impression of it and that makes it more striking.It is located in the middle of a nice park and like every proper castle it has a big trench full of water around it. Once I passed the gate the first thing that caught my eye was a fearsome brazen bull. That is a torture device in the form of a bull made from bronze and big enough to “accommodate” a person. After the poor man was locked in the bull, a fire was lit under it until the victim was roasted to death. The time I visited there was an exhibition for torturing devices. 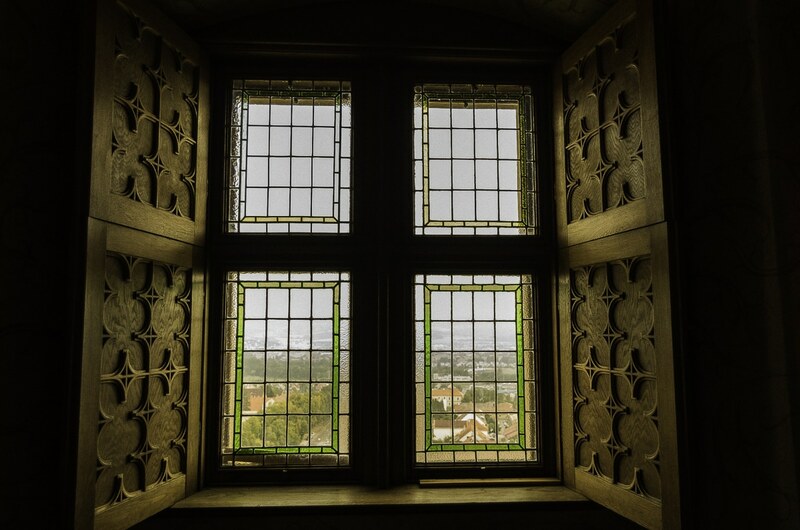 Regular tours are held every hour and a guide will walk you through the interior which is as impressive as the exterior with full furnished rooms and of course Palffy’s famous art collection which is worth seeing. You will also visit a cave which is under the castle. Weddings are held regularly in the castle. There is also a big event that takes place between April and May, the International Festival of Ghosts and Spooks which is very popular. Overall Bojnice castle is worth seeing . 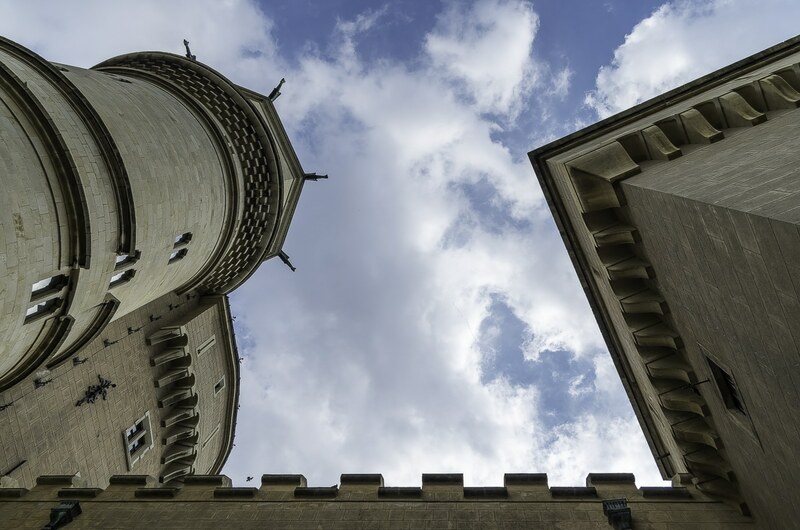 Do you like castles and medieval history? 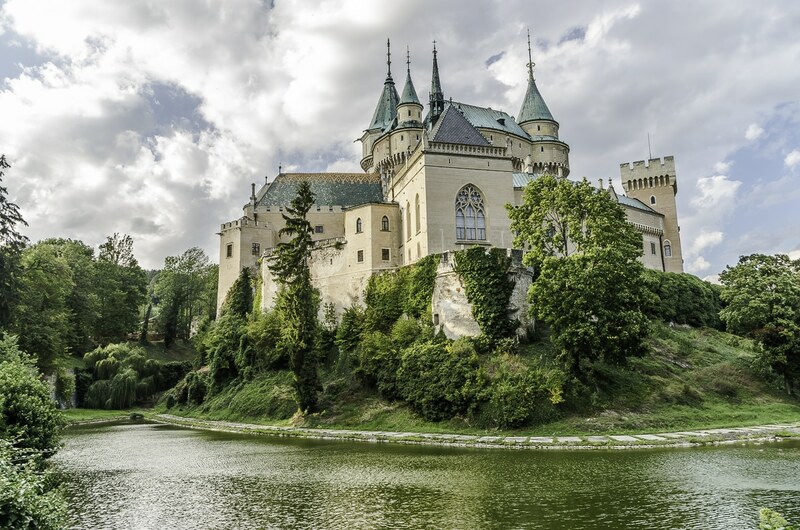 Have you seen the magnificent Spis Castle in Slovakia? Definitely worth a look. Wow! I totally need to visit here. I’ve been doing some research about my family history and discovered that some relatives immigrated from the former Czechoslovakia. Glad I came across your blog so I’ll know where to visit when I make it up there some day to Czech Republic and Slovakia! Hi Rachel! Czech Republic is in our plans as well for this year. Hello. No we don’t live in Slovakia but we visit frequently since my partner Veronika is from there. This looks beautiful. 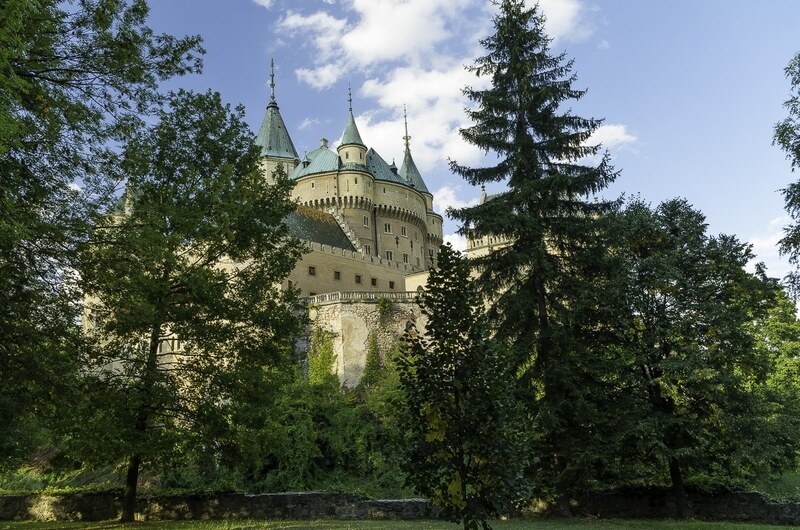 We went to Slovakia in Sept / Oct 17, mainly hiking in the High Tatras but some castle spotting as well, this one was planned for on the way back to Bratislava (wonderful Slovakian train system!) however on day 3 I ended up in Poprad Hospital having my appendix out! My EHIC card helped me out, and I was treated really well, (another question mark for when Brexit happens – grrrr) but it was not what I planned for a holiday so we are going to try again next September 18. This will be even higher up the list! I love your website, I found it when looking for info about the Vikos Gorge; we have ten days from 10 June and hope to make it there. Thank you for all the information your fabulous pictures. (Veronika is very patient!!) Lots of hiking inspiration – wonderful. Zagori is magical. Probably like nothing you’ve seen before. If you need any info shoot me a mail. will definitely be in touch! thank you!